I have a really great giveaway and it is wonderful for the guys as well as girls on this blog...provided you like coffee!! 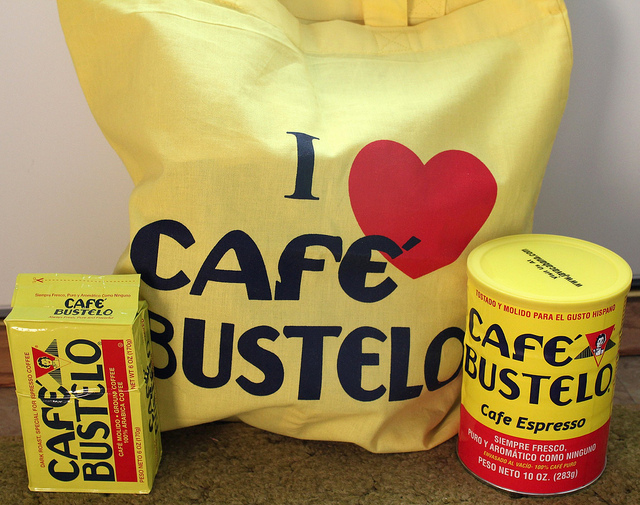 A fabulous Cafe' Bustelo set of their coffee plus a tote bag! It is a dark roast and 100% arabica coffee... a vacuum packed 6oz as well as a 10oz. can to enjoy! The can can be later used as a flower vase, that always looks so neat! Cafe' Bustelo is the #1 selling Cuban coffee in the United States !! love coffee, canolli, nyc. i live in HI and get my east coast fix fr your blog. mahalo!! love your pix! !